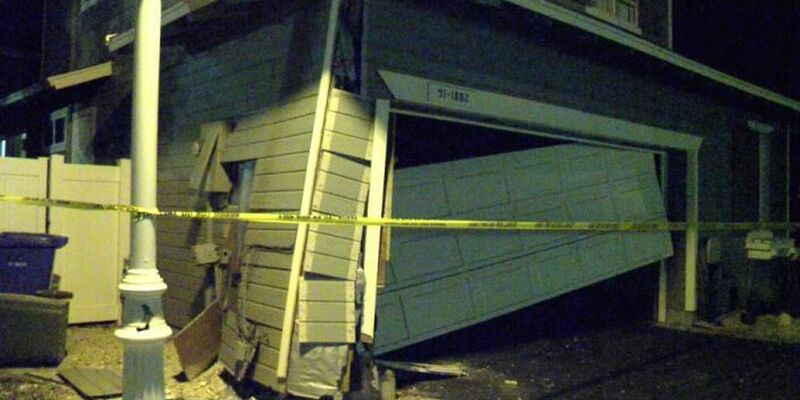 KAPOLEI, OAHU (HawaiiNewsNow) - A car crash in Kapolei left two homes damaged Sunday evening. Emergency crews rushed to Kalehuna Street shortly before 7 p.m. to find the entryway and garage of the two homes smashed in. Authorities say the driver lost control of the vehicle before the collision. The driver, the passenger and the residents in both homes were not injured. The two vehicle occupants were able to pull themselves out of the vehicle before emergency personnel arrived. Police have not reported any arrests. It is unclear if speed or alcohol were factors.